A 19-year-old Bengali-American has admitted to his friends and the Associated Press that he was complicit in the NYPD intelligence unit’s far-reaching Muslim spying program, despite having no experience and no criminal leads. Shamiur Rahman said he agreed to conduct surveillance at mosques, speeches, and Muslim student events as part of the department’s widespread but ineffective (and potentially illegal) effort after being arrested for the third time on misdemeanor marijuana charges, and was paid $1,000 a month for his service. His NYPD orders, he said, were to “bait” Muslims into radical conversations in what police called a “create and capture” strategy. Rahman said he eventually tired of spying on his friends, noting that at times they delivered food to needy Muslim families. He said he once identified another NYPD informant spying on him. He took $200 more from the NYPD and told them he was done as an informant. 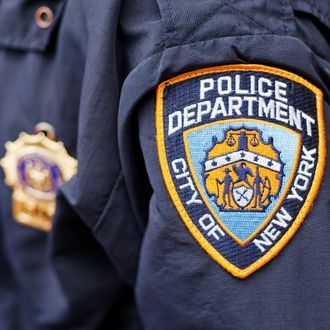 He said the NYPD offered him more money, which he declined. His phone line to the department has since gone dead, and Rahman now plans to move to the Caribbean, where the first few dozen daiquiris are on the NYPD.